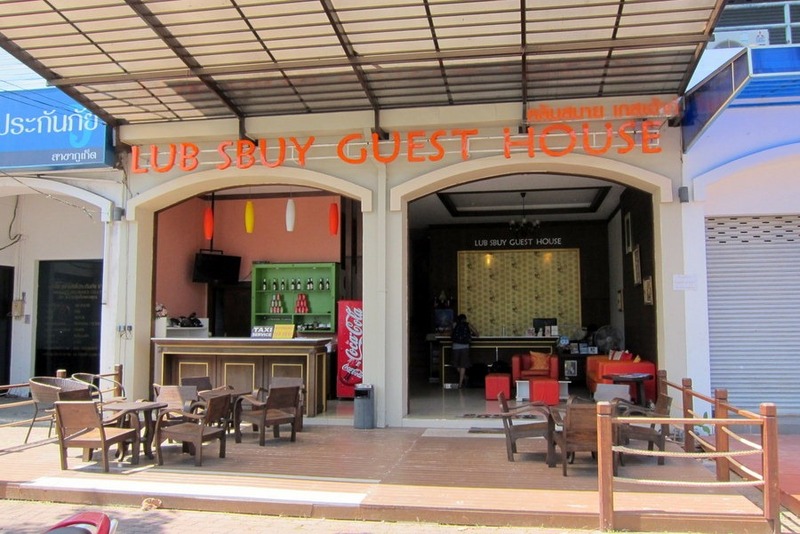 List of places we’ve stayed in Thailand. Pros and con and more. We decided to start a new series on all the places we’ve stayed and whether we’d recommend it.. starting with Thailand. We used Agoda.com for hotel search and booking. Also, keep in mind we tend to live on a flashpacker’s budget. Meaning there are plenty of other options out there at a cheaper cost. We spent more for WiFi and aircon. Rates are from time of booking, April 2012, 30 Baht = $1. Thailand was such a relief because we were finally entering into SE Asia territory which means 2-star hotels, aircon and comfy beds for the price of hostels! 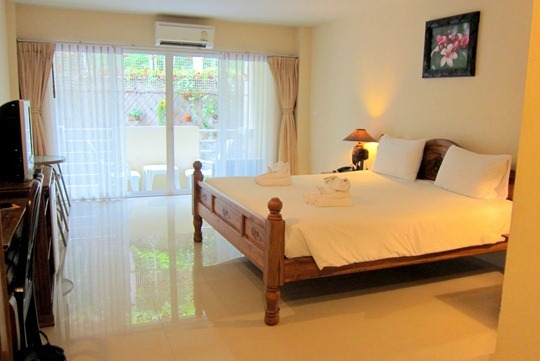 We stayed at two hotels while in Phuket. 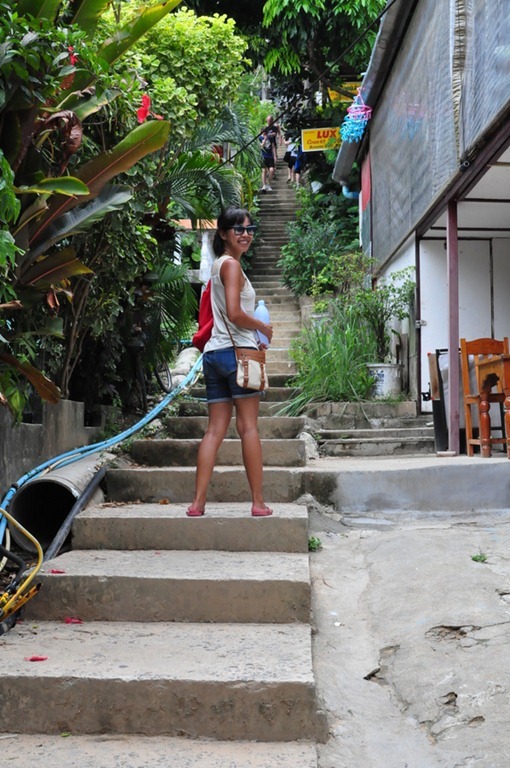 One in Patong near the beach and the other near the bus station. 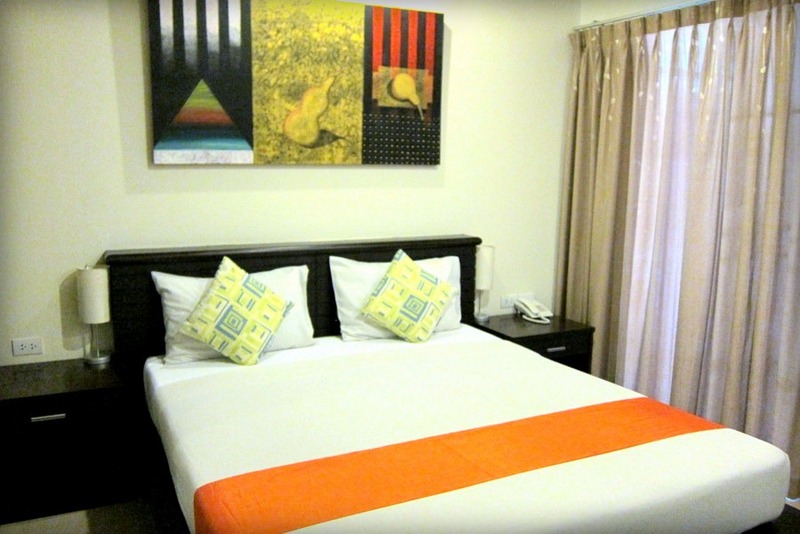 +: Central and walking distance to all Patong attractions. Beach is a short 5 minute walk. Big room + television, though bed was a bit on the firm side for my liking. -: Tucked away in a small alley, may be difficult to find. A little pricey, but we needed a little bit of luxury coming straight from India. I was excited to get away from the crazy that was Patong Beach. 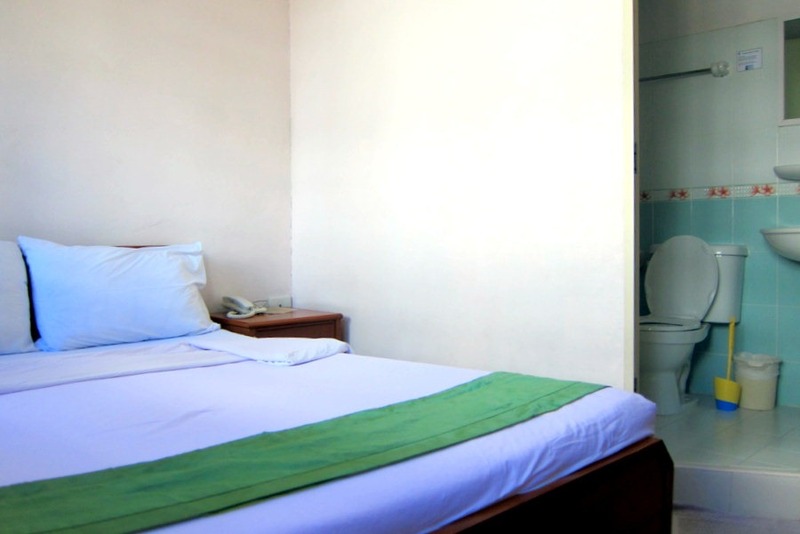 +: Convenient, quiet and clean. Romantic and posh. Located around the corner from bus station. Amazingly delicious street food near bus station. -: Not close to tourist attraction. You’ll need to bus it everywhere. +: Spacious and clean. Bathroom has a tub, not the shower head over toilet ordeal. Small patio. Friendly and helpful staff. -: A bit far up the hill near mosque. A 7-minute walk down to beach. 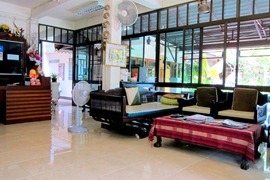 $: 1,000 baht / night. From the arriving dock, it’s on the far end of the island. I stood and waited with our luggage while Gerard ventured off to find us a place to stay. He climb the stairs and stumbled upon this place. +: Aircon and WiFi. On the trails to the view point. -: Unattractive on the outside. Hard to find. Lots of stairs leading to hotel. Mosquitos. $: 800 baht / night. Cheapest we found and would not negotiate, but surprisingly, roomier than most we’ve seen. Claire is your hostess with the mostess. Her brother in law is an Aussie and taught her English so she speaks with the cutest Aussie accent. 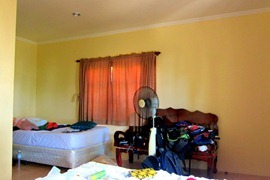 Our room had a double and twin so my cousin was able to bunk with us in one bungalow. +: Family run, feels like home. Hammock. Delicious home cook food. 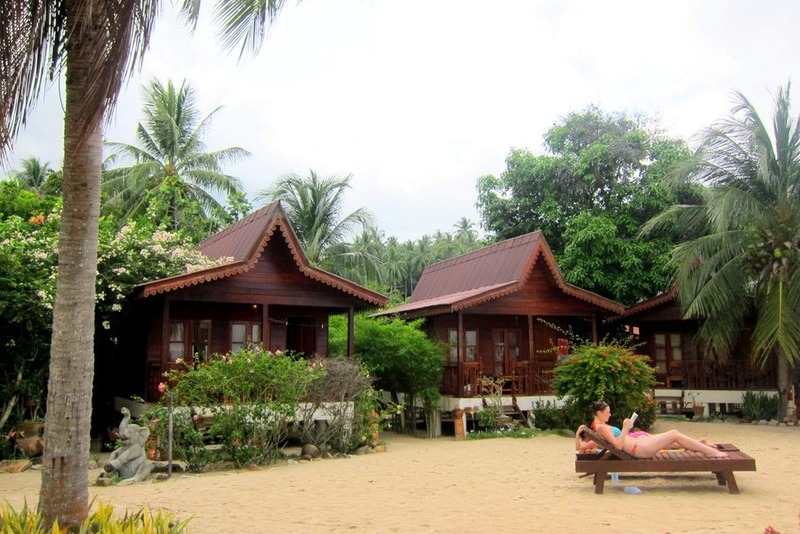 Romantic bungalows right on the beach. -: Floor fans, not ceiling. Aircon room available but tucked in back, not ocean view. Secluded. Shallow, ankle deep water. Not swimmable. Taxi to town/full moon party. Unless you rent a scooter, you’ll be eating all meals on site – not close to anything. 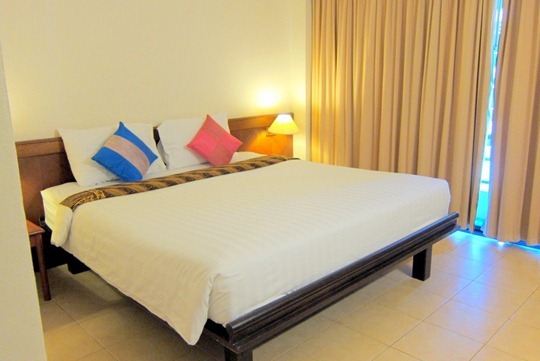 $: 750 baht / night. Cheaper rooms with aircon are also available. From the ferry drop off, it’s a flat 100 Baht rate to catch a song-theow (shared taxi) to Chaweng beach area. 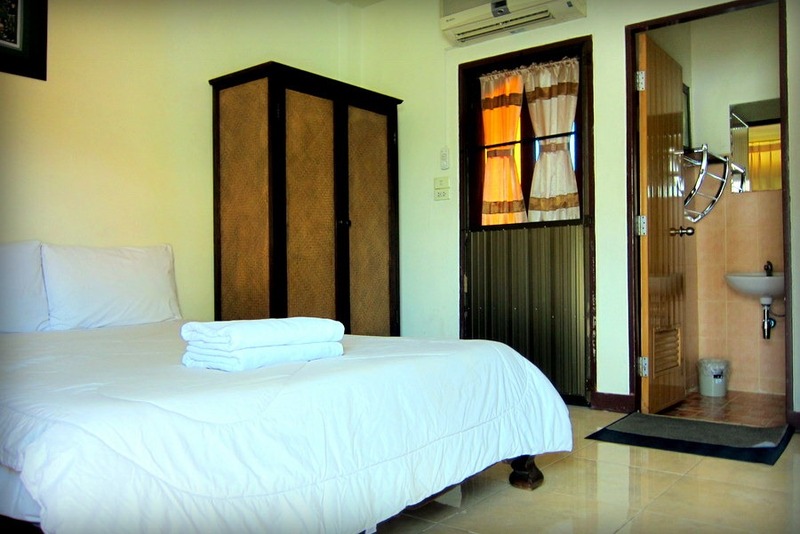 +: Walking distance to beach. Owner is American – extremely friendly. You can rent bikes, book tours here. -: No elevator. No internet past level 2 so ask for lower level to connect to WiFi. Around the corner from possibly the best noodle restaurant on the face of this planet! +: Near Gate E, tucked away from main street. Quiet, clean and cozy. Walking distance to Miguel’s for Mexican food, 10 minutes to night market. Cold water bottles refilled everyday. -: Far from Mrs. Pai’s smoothies. Breakfast not included. $: 700 baht / night. Our first trip to Bangkok, we splurged and stayed at the JW Marriott and Shangri-La hotel. That was years ago. This time, we’re not on a fancy budget so finding an affordable place, central, on a flashpackers’ budget was challenging. +: Walking distance from MBK metro stop, one stop from Siam Paragon mall stop. Breakfast included. -: Rooms are small and a bit stuffy. $: 1,150 baht / night. A great thing about finding accommodations in Thailand is you don’t have to book in advance. 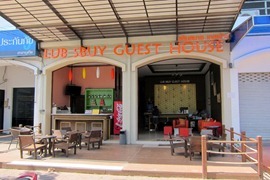 You can show up to any city/island (maybe not Bangkok) and literally hotel hunt until you find the right place for you. This allows for flexibility and some times better rates because you can negotiate in person. We decided to try this on Koh Phi Phi. Four hotels/guesthouses and an hour later, we finally found one. We would recommend all the places we’ve stayed down to the basic ones. Have a favorite accommodation in Thailand you’d like to share? Leave us and our readers a comment! Hey GQ, happy to learn about you, just connected with you on Twitter and Instagram too! My boyfriend and I went to Thailand a few years ago for my best friends traditional Thai wedding (she’s Thai and Filipino). We visited Bangkok, Phuket (cray cray! ), and Krabi. Our experience in Krabi was sweeter than sweet because our stay at the Green View Village Resort – Ao Nang – was dreamy. Krabi is popular in the mountain climbing world because of its beautiful rock formations. The resort is family owned and surrounded by picturesque mountains, jungle plant life, sounds of frogs, monkeys and bird life, and the whip cream and cherry on top is the family are incredibly kind generous people and AMAZING cooks! 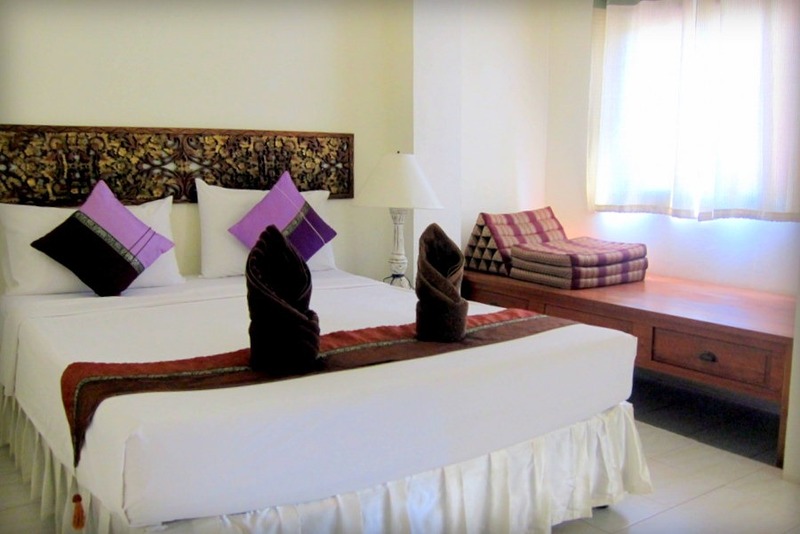 We ate like royalty, had sweet accommodations, access to a pool on site, easy taxi into town and to a speed boat ride to the Phi Phi islands, snorkeling, Monkey Island, and be best part – rooms start at 500 Baht per night or 17 USD. Online reservations are super easy – http://www.greenviewaonang.com and yes, the pictures on the website really look like that. We want to go back! 17 USD?! That place does look like paradise. Thanks, Melissa for sharing your accommo suggestions with our readers! This was a good post! Thanks… I was just about to email you guys about your lodging choices in Thailand. this seems rather pricey for thailand. 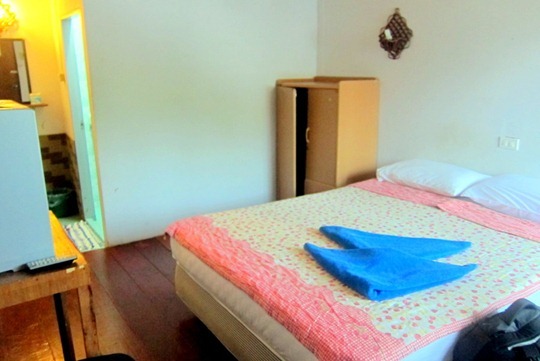 I stayed a 2 room cabin 50feet from the beach in april for only $50 USD a week. 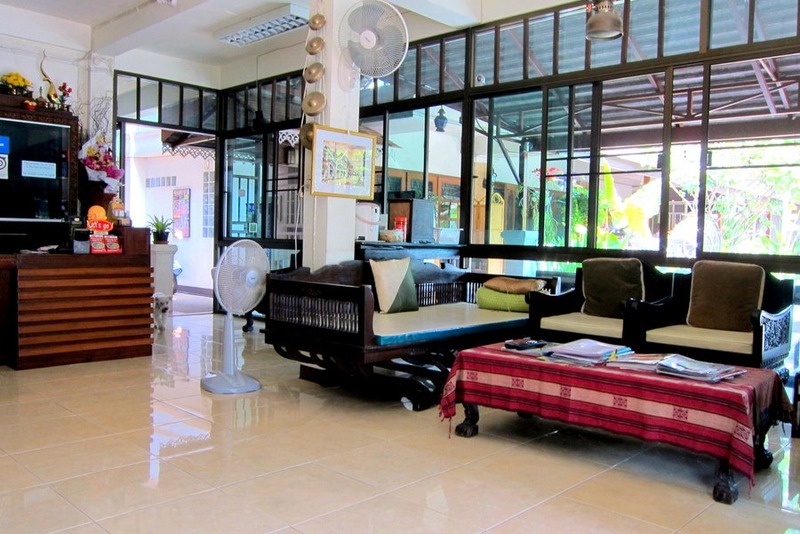 I stayed on Khao San Rd in Bangkok for $10/night at the greenhouse guest house. Thank you for posting your travels & thoughts appreciate it, but for those really looking to get the most bang for your buck you can find comparable alternatives to the ones listed here for half the price EASILY!!!! heyy….could you please share these properties? would love to look into them..could not find anything decent at these rates. i want to stay in those bungalows! looks like you had good luck in all of your accommodations (hoping the romantic & the hubs can soon say the same!). Great looking spots..interesting that some of the better looking ones were actually cheaper than some of the others. Yeah, I wouldn’t want to hike those steps though! So good that you didn’t have a bad experience! Whoa this is a great post! Any chance you have suggestions on places in Paris? Or might you be doing a post? I know you didn’t travel there during this leg but noticed you did in the past! Thanks Kieu! Congrats on the new job op btw! Great list of places to stay…thanks for the tips! Overdue for a trip to Asia…will have to save this for when I get back over there! I like this series – I will be referring to it when I travel to Asia! Must get to Thailand. Like, yesterday. those Rainbow Bungalows look so so cute! 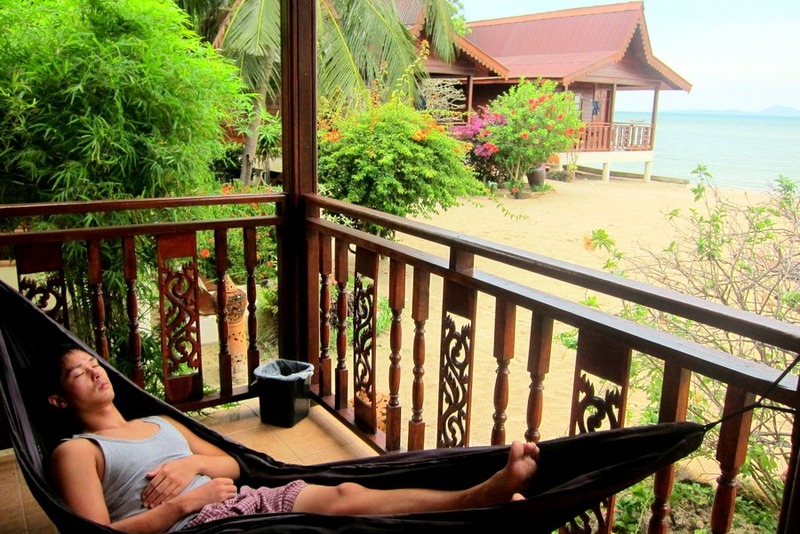 These look like awesome places – we need to get back to Thailand! Thanks for the pictures of the places that you stayed! Always looking for recommendations. Planning a visit for this winter. Thanks!